На сайте www.paralympic.org опубликованны новые правила и нормативы IPC по спортивным танцам на колясках. These IPC Wheelchair Dance Sport Rules and Regulations are mandatory for all IPC Wheelchair Dance Sport recognised competitions. The overall governance and management of all IPC sports (including IPC Wheelchair Dance Sport) is subject to the detailed provisions of Chapter 2.7 of the IPC Handbook. All rules of IPC Wheelchair Dance Sport are the copyright property of the IPC and have been published for the benefit of NPCs, athletes, officials and others who are engaged in an official capacity with IPC Wheelchair Dance Sport. These rules and regulations may be reprinted or translated by any organisation with a legitimate need to do so, subject to the IPC’s continuing ability to assert its copyright in the rules and regulations, including the right to insist on an assignment to the IPC of the copyright in any translated version of these rules and regulations. The English version of these rules and regulations shall be accepted as the authoritative version for the purpose of interpretation. The IPC Wheelchair Dance Sport rules and regulations (IPC WDS) have the primary right in use. The World Dance Sport Federation (WDSF) Sport Technical Rules shall be applied in Conventional events in the cases not described in the IPC WDS rules and regulations. WDSF Sport technical rules complement the IPC WDS rules and regulations. 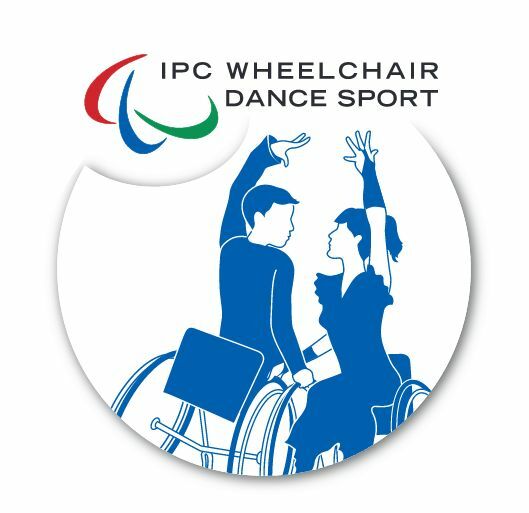 Please note that these rules may be changed at any time as a result, for example, of changes in the WDSF rules, or classification-related matters or where IPC Wheelchair Dance Sport otherwise considers it necessary to do so. Changes may therefore be effective before 2017 and proper notice of any changes will be given. The designation of the competition table is available in Appendix 1.
a) IPC Wheelchair Dance Sport alone has the right to manage World and Regional Championships. The words World and IPC Wheelchair Dance Sport may not be used in connection with any dance wheelchair dance sport event without the consent of IPC Wheelchair Dance Sport. b) IPC Wheelchair Dance Sport is empowered to formulate all rules and regulations for the conduct of such competitions. c) IPC Wheelchair Dance Sport shall have jurisdiction over all matters not assigned by the rules to the adjudicators, or other officials and shall have power to postpone events and give directions consistent with rules adopted for conducting any event. e) In World Championships and Regional Championships an event is viable if in the start list there are a minimum of three (3) participating countries and a minimum of three (3) eligible couples by the final entries deadline. f) In approved international competitions the competition is considered viable if in the start list there are a minimum of three (3) participating countries by the final entries deadline. g) For IPC Wheelchair Dance Sport recognised competitions a Local Organising Committee (LOC) shall be appointed to manage the competition. h) The LOC, subject to the overall control and direction of IPC Wheelchair Dance Sport, shall be responsible for the entire management of the contest, including the arrangement of the programme of events, arrangement for the classification of wheelchair dancers, all technical equipment and installation prior to and during competition. i) To facilitate communication, the LOC must provide at least one organiser with knowledge of the English language for the whole duration of the competition (prior and during the competition). a) All competitors must adhere to the IPC Nationality Policy: IPC Handbook – Section 2 – Chapter 3.1 – IPC Athlete Nationality. * National coach in IPC-WDS: those who are or have been most responsible for training and supervision of the national team. *** Adjudicator: Qualified people recognized or licenced by IPC; NPC; WDSF or WDC, who judge or have judged at National, Regional and International competitions in Dance Sport or IPC Wheelchair Dance Sport. **** Standing dancer from the professional division: Qualified member from the professional division of Dance Sport. c) At IPC Wheelchair Dance Sport recognised competitions all competitors shall be licensed by IPC Wheelchair Dance Sport in accordance with the IPC Athlete Licensing Policies. d) At IPC Wheelchair Dance Sport World and Regional Championships, and approved international competitions all competitors must sign the Athlete’s Declaration Statement that is included in the entry form: ”I am not a national coach in IPC WDS, team leader, coach or representative of a national team or a national federation, adjudicator, standing dancer from the professional division in Dance Sport. .
e) At IPC Wheelchair Dance Sport international competitions athletes must belong to an NPC in order to participate. f) At IPC Wheelchair Dance Sport World and Regional Championships and approved international competitions, all athletes shall have international classification. Athletes with N status require international classification prior to the start of competition. IPC Wheelchair Dance Sport determines the allocation of a dancer’s class and status. Reference to all classification procedures and requirements are contained in the IPC Wheelchair Dance Sport Classification Rules and Regulations. g) In order to participate in the Regional and World Championships, maintain a fair and consistent development of the sport and support the organisers of the IPC competitions, countries’ representatives must have previously participated in at least one IPC WDS approved competition that competitive season*. h) *If there are personal extenuating circumstances for not attending approved competitions, the NPC will have to apply for an exception to this rule. Any decision made by IPC WDS will be final and not open for further contest or appeal by any other organisation or body. a) The Technical Delegate shall be responsible for conducting site visits during the preparation period of the competition and check: the dance floor and its surrounding area, the classification room, the adjudicators and changing rooms, the music equipment and results systems and ensure that the competition will run smoothly and according to the rules and regulations. b) The Technical Delegate shall be responsible for the competition dance floor and its surrounding area and ensure that the competition is run smoothly and according to the rules and regulations. c) The Technical Delegate is ultimately responsible for all technical matters of the competition. d) The Technical Delegate is ultimately responsible for all IPC Wheelchair Dance Sport officials appointed. e) The Technical Delegate shall be responsible for cross-checking the athletes’ personal data with the results systems that are used for the competition. f) The Technical Delegate shall have the responsibility to prepare the start lists at least two months prior the start of the competition. g) The Technical Delegate shall have the responsibility to check if the start numbers are correct (not duplicated) and that the correct couples are on the dance floor from round to round. h) The Technical Delegate shall decide the number of couples to be recalled from the qualifying rounds. i) The Technical Delegate shall decide the number of couples for the final round if more than six (6) qualify. j) The IPC Wheelchair Dance Sport Technical Delegate at the World and Regional Championships must prepare a report on the competition conduct. a) The non-voting Chairman of the Adjudicators shall be responsible for checking the scrutineers’ equipment. b) The non-voting Chairman of the Adjudicators shall be responsible for informing the adjudicators about the heats and the rounds during the adjudicators’ meeting. c) The non-voting Chairman of the Adjudicators shall be responsible for checking if the dance dresses comply with the WDSF Rules. d) In exceptional circumstances the non-voting Chairman of the Adjudicators can allow dance dresses to be worn, which do not comply with the applicable rules. e) The non-voting Chairman of the Adjudicators shall be responsible for checking if the music used for each dance is the correct one (e.g. no Samba music for Paso Doble). f) Only the non-voting Chairman of the Adjudicators can permit the extension of the maximum duration time of a dance where it is considered necessary for the fair adjudication of that event. g) The non-voting Chairman of the Adjudicators shall be responsible for checking if the music time bar per minute complies with the IPC WDS Rules. h) The non-voting Chairman of the Adjudicators shall have the responsibility of checking if the correct number and panel of adjudicators are on the dance floor in each round. i) The non-voting Chairman of the Adjudicators can arrange for an adjudicator’s replacement to be appointed in case of emergency during the competition. j) Only the non-voting Chairman of the Adjudicators can decide on the number of couples per heat based on the dance floor size. k) The non-voting Chairman of the Adjudicators works closely together with the Technical Delegate, the competition announcer, and the scrutineers. l) The non-voting Chairman of the Adjudicators together with the responsible person from the LOC, the competition Announcer, the scrutineers and, if there is any, Technical Delegate should perform the drawing for Freestyle/Showdance events during the Technical meeting prior to the start of the competition. .
m) The non-voting Chairman of the Adjudicators will warn the respective Team Leader in case that a couple gives reason for disqualification. The disqualification cases are described in the Disqualifications section of this rulebook. n) Only the non-voting Chairman of the Adjudicators has the right to stop the competition in case that the music, numbers of couples or music bars are not correct in the heat. a) Only persons from the list of qualified IPC Wheelchair Dance Sport adjudicators can be appointed as adjudicators for IPC Wheelchair Dance Sport World and Regional Championships. IPC Wheelchair Dance Sport must approve any proposal from the LOC for adjudicators from the host country. b) In the final of IPC Wheelchair Dance Sport competitions the adjudicators shall place the couples. Place one (1) is the best place marking. The same place must not be given to more than one (1) couple. The skating system has to be used. c) Closed marking is used in all rounds of IPC recognised competitions.  One (1) non-voting Chairman of Adjudicators. This person can be from the host country as long as he/she is qualified for IPC Wheelchair Dance Sport.  At least 7 adjudicators. One (1) of them can be from the host country (subject to prior approval by IPC WDS).  Chief classifier (1) and an appropriate number of other classifiers if applicable. The adjudicators must arrive latest one (1) day prior the Opening Ceremony and depart one (1) day after the Closing Ceremony. All costs of accommodation, transportation (international and local), meals, and a EUR 100 per diem per day of competition (maximum 2 days) during the Championships will be covered by the organising committee.  One (1) non-voting Chairman of Adjudicators. This person can be from the host country as long as he/she is recognised by IPC Wheelchair Dance Sport.  At least seven (7) adjudicators who should not have any responsibilities with a team delegation participating at the competition where they were appointed to judge.  At least five (5) will be international level (according to the IPC WDS specific regulations) and from different countries outside the host country. The adjudicators must be approved by the IPC before they are invited. The proposed list of adjudicators from the LOC must be sent to IPC Wheelchair Dance Sport Office six to eight weeks prior the start of the competition. The adjudicators must arrive latest one (1) day prior the Opening Ceremony and depart one (1) day after the Closing Ceremony. All costs of accommodation, transportation (international and local), meals, during the competition will be covered by the organising committee. The adjudicators’ team consists of six to nine adjudicators plus one non-voting Chairman. All rules regarding arrivals, accommodation and fees are the same as in the conventional events. The World Dance Sport Federation dress code for the Technical Delegate, non-voting Chairman of Adjudicators and the adjudicators apply. a) Chief classifier (1) and classifiers (for the number of classifiers and classification panels refer to the Classification Rules and Regulations and Appendix of competition designation). The respective classifiers will be appointed by IPC Wheelchair Dance Sport and communicated by the IPC WDS office to the LOC. b) The classifiers must arrive latest one-day prior the start of their duty (one-day prior the start of the classification evaluation process). The organising committee should cover all costs for accommodation, transportation (international/local), and meals, during the competition. For World and Regional Championships a EUR 100 per diem per day of duty (maximum 2 days) during the Championships shall be covered by the LOC. c) For more detailed information about classification and classification panels, refer to the Classification Rules and Regulations section. Prior to the start of the competition and after the end of it there are certain processes to take place in all IPC Wheelchair Dance Sport recognised competitions. a) In IPC Wheelchair Dance Sport World and Regional Championships, each NPC is allowed to enter a maximum of three (3) couples per event and per class. b) In World and Regional Championships NPCs shall only be allowed three (3) couples per event and class even after a couple changes class during the classification process. c) In order to be entered in IPC Wheelchair Dance Sport World or Regional Championships, athletes must have competed in at least one IPC international approved competition in the current season. d) Entries for IPC Wheelchair Dance Sport World and Regional Championships must be submitted within the pre-decided deadlines, which are set by IPC Wheelchair Dance Sport and the Local Organising Committee. e) In case of late entries or exceptional circumstances, entries will be accepted on a caseby-case basis at the discretion IPC Wheelchair Dance Sport. f) For IPC Wheelchair Dance Sport approved international competitions there is no limit in the number of couples per NPC per event per class. Before the start of the competition there shall be a technical meeting with representatives of the participating countries and the Organising Committee, supervised by the IPC Wheelchair Dance Sport Technical Delegate. There can be a maximum of two (2) persons per country and one (1) of them shall have good knowledge and understanding of the English language. On each competition day there shall be a dress check of all competing couples where the athletes will be wearing their competition costumes. The Technical Delegate and/or the nonvoting Chairman of Adjudicators will conduct the check. a) Results are taken into consideration only from IPC Wheelchair Dance Sport recognised competitions. b) For IPC Wheelchair Dance Sport recognised competitions WDSF or similar results systems should be provided by the organising committee. The system will be used following IPC Wheelchair Dance Sport approval. c) The organising committee must submit the results from all events in electronic version to the IPC Wheelchair Dance Sport office no later than one week after the end of the competition. a) The Ranking system is based on the points that athletes can get by participating in IPC Wheelchair Dance Sport recognised competitions of different levels (approved international, IPC World and Regional Championships). b) An athlete can get from 100 down to one base point depending on its ranking in a specific competition. c) The ranking system is based on coefficients where the different levels of competitions are taken into consideration. For instance the World Championships has the highest coefficient. d) The coefficient tables are presented in Appendix 2. The most updated minimum requirements and application forms are available in Appendix 3.
a) The protest form is to be submitted by the team leader or the official representative of the delegation within one hour after the end of the final of that event. b) The protest form must be submitted to the IPC WDS Technical Delegate with a fee of EUR 100.
c) The respective protest panel will be responsible for analysing the protest. d) For IPC competitions the protest panel shall consist of the Technical Delegate, the nonvoting Chairman of Adjudicators and one of the adjudicators in attendance (wellqualified and selected by the Technical Delegate) or one of the STC members who is not involved in any other function for this competition. e) The decision of the protest panel is considered final. See also Appendix 4. At sports venues, it is the responsibility of the team physician to determine whether an injured athlete may continue in or return to the competition. This decision should not be delegated to other professionals or personnel. In the absence of the competent physician, other professionals or personnel should adhere strictly to the instructions that he or she has provided. At all times, the overriding priority should be to safeguard the health and safety of athletes. The outcome of the competition should never influence such decisions. The lists of events for a competition may change until the final entry verification is closed. Only IPC Wheelchair Dance Sport is authorised to grant exceptions with the programme. IPC WDS Uniform and Wheelchair Advertising Guidelines shall be applied. Medals: in case of couple events, Gold, silver and bronze medals shall be awarded to both dancers respectively of the first three places of each event. a) In World and Regional Championships the IPC Protocol Guides for such competitions level apply. b) In World and Regional Championships, in case that an event is finalised with three (3) or less couples/ participants, medals shall be awarded following the “minus one” rule. c) In case that in the final round only three couples/ participants compete then medals will be awarded only to the first and second ranked couple/ participant. The third ranked couple/ participant will get only a certificate. d) In case that in the final round only two couples/ participants compete then medals will be awarded only to the first ranked couple/ participant. The second ranked couple/ participant will only get a certificate. All IPC Wheelchair Dance Sport recognised competitions are adjudicated according to the Judging criteria that are presented in Appendix 5.
a) For World Championships and Regional Championships the dance floor should be at least 350m2 in proportional size. b) For all other levels of IPC Wheelchair Dance Sport competitions the dance floor must have a surface of a minimum of 250m2 where no side length is below 10m. c) In that size of dance floor a maximum of eight (8) couples is allowed to enter on the dance floor in one heat. d) Only the non-voting Chairman of Adjudicators can allow a larger number of couples on the dance floor in one heat under certain circumstances (e.g. if the dance floor is bigger than 400 sqm). a) The start numbers are produced and distributed by the Local Organising Committee. b) The start numbers must be worn always on the man’s back. c) If the male partner is a wheelchair user and his backrest is high then the start numbers must be worn on his backrest. d) In duo dance both dancers must wear the start number. e) The start number must be visible at all times. f) The start number must be assigned to specific couples/ participants and appear on all competition lists and timetables. g) The start number must always be in black numbers on a white background (or vice versa). The colours for the competition name and sponsor field can vary. h) The start number size must be an A5 and the design must be as shown in Appendix 4.
a) For the dance dress the WDSF rules apply. b) In Latin dances a two pieces dance dress is allowed but the upper part must be decorated and must not look like a bra. c) Changes to the dance dress are allowed from round to round but never from heat to heat (between dances). d) The only exception to rule 5.3.c) is in case that the Dance dress is damaged and only after the non-voting Chairman of Adjudicator’s approval.  Free choice (athletes discretion), all types of costumes and make-up are allowed but they should reflect the programme, performance and age of the dancers (age appropriate).  Should cover the intimate parts of the dancers’ bodies (intimate area).  Should provide full coverage.  Skin colour underwear is not allowed.  Breasts have to be covered.  Hip line (HL) skirts or pants are allowed, but on top of the line between the buttock muscles, the inter-gluteal line must not be visible.  All kinds of trouser styles, trousers or shorts, dresses and skirts are allowed, as long as length is appropriate.  Men can wear short, long and no sleeves, but the torso should be covered.  Men’s top opening point (TOP) – top or shirt can be opened until the centre of the belt buckle or the centre of the trousers top line.  All blouses and tops are allowed, as long as coverage is appropriate.  All tights and leotards are allowed.  All colours and combinations are allowed.  All kinds of dance shoes and dance slippers are allowed except character shoes with cloves or spikes that could damage the floor. 5.3.3 Approval from the non-voting Chairman of Adjudicators. The chairman can ask the competitor to remove an item of jewellery or dress if it presents a danger to the dancer or to other competitors. 5.4 Freestyle/ Showdance Events – General rules and restriction. 5.3.1 The participant or couple on the dance floor presents their program in accordance with the start number. 5.3.2 The order of the performances is determined by a drawing during the Technical Meeting prior to the competition. • The LOC should prepare the drawing procedure in accordance with the entry list of the participants for Freestyle events. • In case of more than 10 participants/couples; the drawing should be done by splitting in groups of 10 participants/couples maximum, according to the World Ranking List. • The competition runs from the lower to the highest rankings. Therefore, the first group will be created by the participants/couples with the lowest rankings and new participants with no rankings. 5.3.4 All movement’s styles are allowed (folk, hip hop, latin, standard, ballet, contemporary, street dance, salsa, Argentinean tango, cumbia, belly dance). • Acrobatic movements are allowed but should not be the main part of presentation. • It is allowed to leave the wheelchair as a transition or fragment in the beginning or in the end of the program, but should not be the main part of it; wheelchair dancers have to fulfil the technical skills in the wheelchair primarily. • Movements and body language should be appropriate to be seen by all ages. Strength, energy, power, sensuous, passion, caring and affection actions are allowed, but explicit violent or sexual manifestations are not allowed. 5.3.5 Any kind of objects and/or props will not be allowed in Freestyle Events (chairs, tables and other constructions respectively). • Falling due to misbalance. • Wheelchair dancer performing on the floor out of his/her wheelchair. • Usage of objects, accessories and/or props. • Violation of time limits of performances (see Appendix 5, 4.11). The music should be relevant to the dance (not Samba in Paso Doble). a) A minimum of one and a half (1 ½) minutes for Waltz, Tango, Slow Foxtrot, Quickstep, Samba, Cha-Cha-Cha and Paso Doble. b) A minimum of one (1) minute for Viennese Waltz and Jive. In the qualifying rounds of IPC Wheelchair Dance Sport recognised competitions the same music must be played during the various heats. a) One person or couple on the dance floor presents their programme with any music of their choice. b) It is allowed to use one piece, different types or mixed music. d) Participants must submit their music prior to their competition in mp3 format, and should give credit to the artist. e) Music should be audible and clear. A singles participant consists of one individual either a man or a woman, should be a wheelchair user and must meet the minimum eligibility criteria for IPC Wheelchair Dance Sport. He/she can participate in conventional events, freestyle events or both. He/she participates in the women’s section or the men’s section. Combi participants are a couple that must consist of one (1) male and one (1) female partner; one of them must be a wheelchair user. They can participate in conventional events, freestyle events or both. Combi and Duo participants must always dance with the same partner in Standard, Latin and Freestyle/ Showdance sections throughout the whole competition. Partners can be different (changed) only between Duo and Combi. Changing Partners during the season is not allowed according to the IPC WDS rules, however exceptions can be considered under special circumstances (death, illness, pregnancy, others). In those cases, IPC WDS office should be contacted. It is allowed for wheelchair users to compete in singles, duo and combi. It is possible to dance in all sections: Standard, Latin or Freestyle/ Showdance. Participants may also choose to dance only in one section. All participants must meet the minimum eligibility criteria for IPC Wheelchair Dance Sport after international classification (more information is available in the IPC Wheelchair Dance Sport Classification Rules and Regulations). a) IPC Wheelchair Dance Sport competitions shall be comprised of at least two qualifying rounds to allow couples the opportunity to dance twice. b) The number of rounds during a competition (first round, second round, semi-final and final) depends on the number of couples of which the competition consists. c) At least 50 per cent of participating couples shall be recalled to the next round excluding the final. d) No more than six (6) couples should participate in the final of IPC Wheelchair Dance Sport competitions and Regional Championships, but in case more than six (6) couples qualify, the Technical Delegate (non-voting chairman) will decide whether or not to increase the number of participants in the final round. a) Singles and combi present their programme to the adjudicators only once. b) Singles and combi participate on the dance floor one by one and get points immediately after their performance. c) The Final result will be available after possible corrections and deductions made by the Adjudicators during the fixed time. a) Not meeting the minimum eligibility criteria for IPC Wheelchair Dance Sport. b) No show (if an entered couple or single does not show up without offering prior notice to the LOC) In this case, the couple/participant will be disqualified from the next IPC Wheelchair Dance Sport competition. c) Dangerous movements (high back kicks, laying or sitting on the floor, uncontrolled speed, crashing on purpose or fighting).  A couple/participant will be disqualified if the same is repeated the non-voting Chairman of Adjudicators has given a warning to the team leader.  If a couple/participant is disqualified during the final round, his/her results will appear as DSQ. d) If a person is disqualified his/her results will appear as DSQ.